An old joke, but now a debating issue. This was on old joke that at first glance appears to be cruel. However, with the debate on burquas in Europe taking off in earnest, people are facing up to what seems so self evident. The photo is indeed shocking. No surprise then that last year the French President Nicolas Sarkozy came out and said what most people think; that burquas are incompatible with equal rights for women. But just as European jurisdictions are acting to destigmatise the treatment of women [from looking like rubbish bags] there has been condemnation from Muslim groups for … stigmatizing Muslims. Muslims in the French city of Nantes, where a woman was fined for driving while wearing an Islamic veil, have expressed concerns over stigmatizing Muslims. “The Muslims of Nantes are worried by this systematic stigmatization which goes against the values of the Republic,” the collective of Nantes Mosques said in a statement on Sunday. A Muslim woman queuing at a post office in Italy has been fined £430 for wearing a burka in public. Amel Marmouri was spotted by police and penalised in the first case of its kind in Italy. The 26-year-old Tunisian lives in Novara – 50km (30 miles) west of Milan – where the mayor brought in laws banning clothing that ‘prevents the immediate identification of the wearer inside public buildings, schools and hospitals’. I wonder if the European Human Rights commission would have any rules about involuntary imprisonment and whether it would care about the fate of Novara? By the logic of the husband, the wearing of the burka by his wife must also be a form of “visual” imprisonment, because he “can’t have other men looking at her”. The dreary conclusion of the apologists, that this woman will not be allowed out of the home because of the burka ban, will be interpreted as an oppressive Italian law. The heartening news is that some Muslim groups in Italy DO NOT agree. ‘We have always said we are against face veils or coverings in Italy because the law of recognition has to be observed,’ said Imam Izzedin Elzir, president of the Islamic Community and Organisations Union in Italy. This entry was posted on May 5, 2010 at 21:21 and is filed under culture, freedom, morality, religion. You can follow any responses to this entry through the RSS 2.0 feed. Both comments and pings are currently closed. 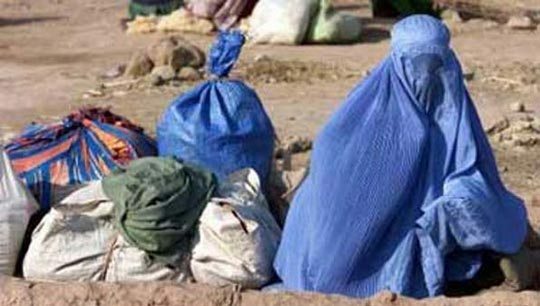 I just heard Andrew Bolt on MTR talking about the burqua. I want people in this country who integrate. 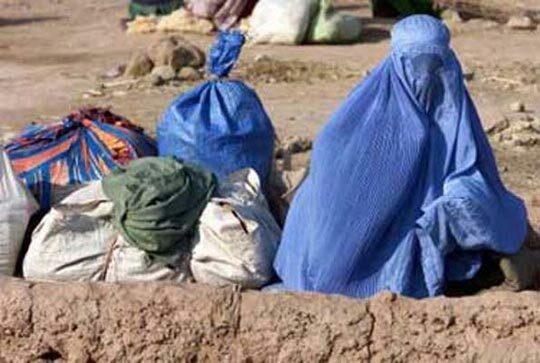 The burqua is a sure sign that a) the woman is not integrating and b) her whole family will not integrate. If you change a man, you change one person. I you change a woman, you change her whole family. The government is right to ban the burqua and to stop immigration from countries whose people don’t tend to assimilate with Australian culture. for more Danish research which offers solutions to this problem.